Research studies have shown that tackling methane emissions not only produces cleaner air but creates high-quality jobs. Over 130 companies, with customers in almost every state across the country, are helping to manufacture the technology and provide the services needed to cut methane emissions. Research released by Datu Research in April 2017 offers an inside look at the methane leak detection and repair (LDAR) industry - a growing field of service providers that utilize technology to identify and repair leaking equipment at industrial oil and gas facilities. Find and fix: Job creation in the emerging leak detection and repair industry [PDF] found that the LDAR industry offers well-paying employment opportunities across the country that cannot be offshored, saves money by minimizing waste and keeping otherwise lost product in the pipe, and reduces emissions of a highly potent greenhouse gas along with other co-pollutants, thereby contributing to cleaner air for communities. The leak detection and repair industry in the U.S. has a national footprint, with at least 60 companies providing services to oil and gas companies in 45 states. The majority (55%) of American LDAR firms are small businesses. More than one-third (37%) were founded within the last 6 years, reflecting an emerging industry. Companies have already experienced up to 30% business growth in states with methane regulations. The industry anticipates future growth and hiring, though the rate of growth will depend on the regulatory direction at the federal and state levels. Nearly a quarter (22%) of firms have 40%+ workforce diversity. Jobs within the LDAR industry promise upward mobility, with annual salaries of up to $113,110. The 2017 report builds on a 2014 report from Datu Research. The emerging U.S. methane mitigation industry [PDF] found tackling methane emissions not only produces cleaner air, but creates high-quality jobs in a growing domestic manufacturing and service sector. 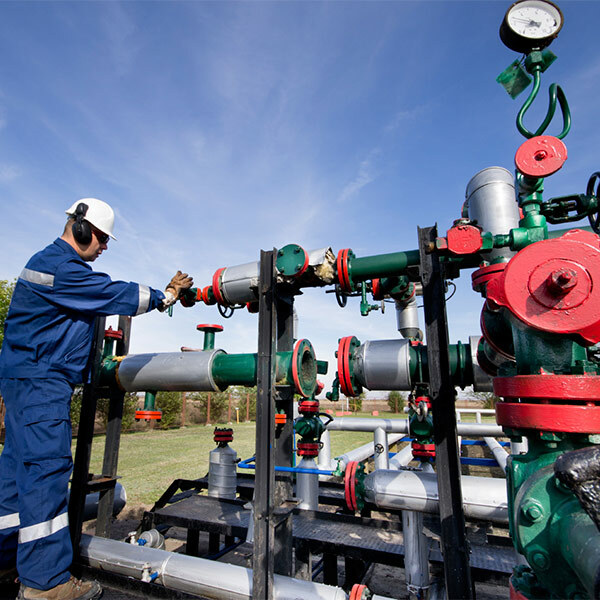 The report identifies 76 companies nationwide that manufacture, sell, and support the proven and cost effective methane control technologies that are available today to tackle this problem. The report details a robust and diverse industry, with over 500 different U.S. locations across 46 states. More than half of the companies in this industry are small businesses. The interactive methane mitigation map, created by EDF with data from both of Datu's analyses, plots the locations of these companies and their operations - visualizing the current landscape and potential growth opportunities for this industry in numerous American cities. This new analysis also complements other research EDF is engaged in to help advance methane science and provide deeper understanding of methane emissions from the oil and gas supply chain, in order to inform policymakers about opportunities to reduce methane emissions. Datu's research demonstrates that American workers are standing by, ready to build and utilize the equipment necessary to drive down methane emissions. With the right common-sense policies in place, this industry has room to grow.